Nicolet 205 FT-IR infrared spectrophotometer, c 1980s. Hilger wavelength spectrometer with camera, c 1919. Enlarged view of a spectroscope, 1874. Mitsubishi thermal imaging system, 1989. 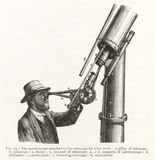 Engraving of a spectroscope attached to a telescope for solar work, 1874. 'Valuable flame spectra', early 20th century. 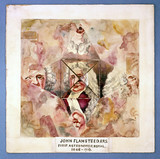 John Flamsteed, astronomer, c 1700. 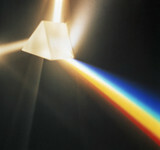 Prism and spectrum of light.